Inspired by the golden age of glamour, the Bronte Wall Light by Heathfield & Co showcases the elegant style of 1930s design. 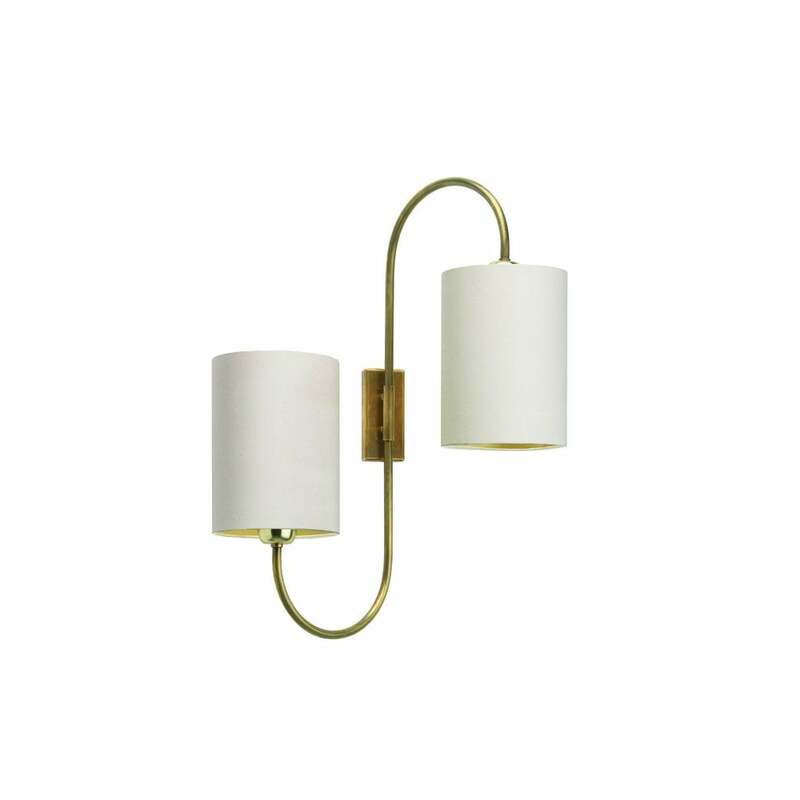 Featuring round mirrored arms and an antique brass finish, this classic wall light will add character to a fireplace or hallway. Shown here with ivory silk shades, choose from a range of luxurious colour options. Make an enquiry for more information. Priced for 5" Tall Drum shade in silk with white PVC lining. Please contact us for other options.